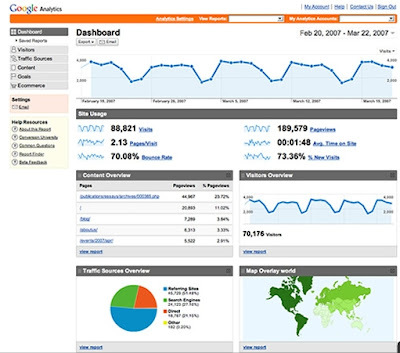 Behold the New Google Analytics V2! ~ The Blog Doctor. You are here: Home > Google Analytics > Behold the New Google Analytics V2! Behold the New Google Analytics V2! The old one at the left had too many choices and gives way to the new navigation at the right with clearer choices. Under Site Usage you can immediately see the percentage difference in the values for the two time periods. Hover your mouse cursor over the graph points to see the actual values each day and the percentage difference. You can make a custom Dashboard and populate it with only the data you wish to see. You can then email this dashboard to anyone you wish. 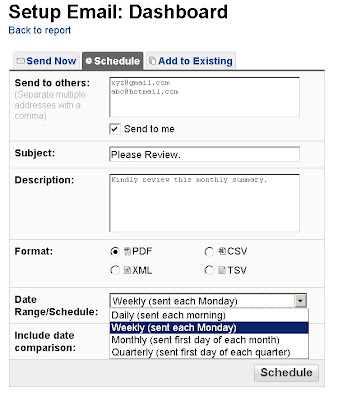 After customizing your Dashboard just click on Email and you can send it to anyone as a pdf/csv/xml/tsv file. The new version works best with Flash 7 or higher. Most browsers have this installed already, if yours does not, please download it at Adobe.com. Report Finder Tool: will help you see where data from the previous interface is located within the new version (it is also linked to from within your reports on the left navigation menu). Looks great. A couple of weeks ago I activated it and didn't look. Now the rest of my sites are gathered. Thx for the news.